Looks like the world’s biggest mobile market—China—will play a big role in further pushing Apple on the world’s biggest cell phone vendors list. Apple was just declared as number 4 on this list but if sales continue to sky rocket in Asia, it won’t be long before Apple debuts in the top 3 names. iPhone 4 was launched in China recently and fans were seen camping outside stores to get their hands on the handsets as early as possible. The sales were huge as expected and stores were running out of phones quickly. 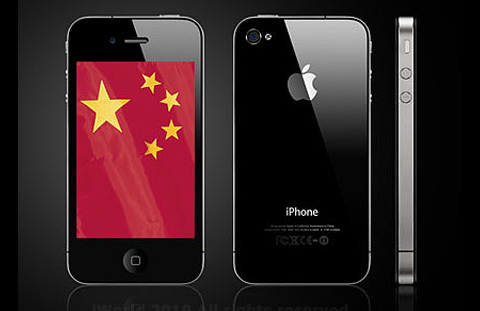 Apple launched its online store this week for Chinese customers which was jammed with orders and now it’s being reported that China has sold out all iPhone 4 units within 10 hours of the online store launch and Apple has suspended sales for now. All mobile phones are now sold through the online store and customers must pay the money after the order is made, then the company will distribute it to the designated place for free. China Unicom, the only telecom operator offering Apple’s iPhone in China, says the situation vis-a-vis availability will improve after November.